LICKALIX install the EL-MOTE to ensure their Ice Lollies are stored safely. EL-USB-2-LCD temperature and humidity logger from FilesThruTheAirwas used by research team in discovery of new type of Rain Frog through measuring environmental factors. Sensors helping to solve mysteries of universe! 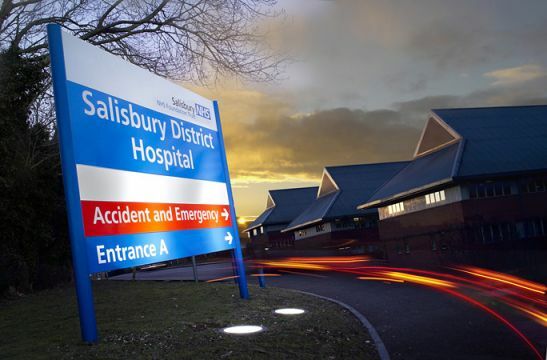 After receiving great feedback about the use of our EL-WiFi data loggers from the Wessex Regional Genetics Lab in Salisbury Hospital, we spoke with the lab’s Deputy Quality and Lab Manager, Sam Baker, to ask her for a further insight into the benefits FilesThruTheAir can offer monitoring applications in healthcare establishments. Sam Baker and her team in the genetics lab have discovered many advantages since introducing their WiFi-connected monitoring system by FilesThruTheAir, used for the integral temperature monitoring of fridge, freezer and incubator storage units. Stored inside these fridge and freezer units are valuable and temperature-sensitive reagents (chemical compounds or mixtures used for testing) and in the incubators are irreplaceable samples, which are growing for genetic testing and must be stored carefully at a constant temperature. The lab team are using three model variants of FilesThruTheAir WiFi data logger; EL-WiFi-TC, thermocouple probe model for monitoring ultra-low-temperature freezers, and EL-WiFi-TP+ and EL-WiFi-DTP+, higher accuracy thermistor probe models for both fridge and incubator temperature monitoring. Before using this new system, staff had to ensure a manual temperature check of each unit was carried out and recorded daily using a thermometer. In a busy hospital, this was sometimes difficult to manage. Sam and the team now find peace of mind in the knowledge that checks will never be missed, after automating the task using a WiFi-connected system. One of the benefits of using the WiFi-connected data loggers in the lab is that temperature data can be viewed and analysed at any time of day by whoever has been granted access, by logging into the department’s EasyLog Cloud account on a web browser or the App. From here, the team can view the data as a table, graph or list, and temperature alarm zones can be set up as per the requirements of each data loggers intended use. Relevant recipients in the department receive an email alert, should a temperature zone become breached at any time, enabling issues to be rapidly identified and fixed. These issues could range from a faulty storage appliance to a staff member accidentally leaving a door open, and could potentially result in the loss of inestimably precious samples and reagents. Not only that, but staff have also been freed up to undertake other duties since introducing automated monitoring and has meant the lab now has a fully-traceable data chain of temperature records for each storage unit. Sam also explained the team’s favourite features of the WiFi system were the efficiency of the notifications once an alert is activated, and how simple to use the devices were for all members of staff. Feedback was extremely positive on the straightforward and user-friendly setup process, as well as how easy-to-use the loggers were on a day to day basis. Ambient temperature monitoring of rooms which store temperature-sensitive reagents could be another potential use for FilesThruTheAir WiFi products in healthcare establishments, suggested Sam. Strong WiFi connection can sometimes be an issue in large establishments such as hospitals, and so we suggested the standalone monitoring options from FilesThruTheAir with USB connection, which connect up to PC for viewing and collecting data, as a solution. We also recommended the introduction of our glycol bottle probes, which mimic the change in temperature as a door is open and closed, as it turns out the hospital started using the system before we launched the glycol probe option. These probes would provide the team with greater accuracy readings. At FilesThruTheAir, our team can design a full monitoring system for all types of temperature monitoring requirements in any hospital, doctors surgery or pharmacy. Contact us directly today at sales@filesthrutheair.com or visit the store on our website to explore our full range of monitoring products, available now.